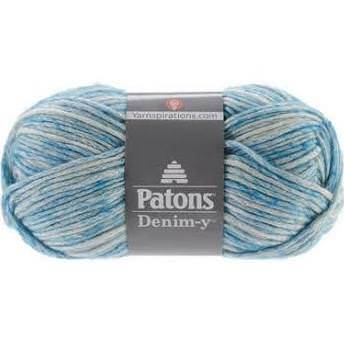 Every time I have been to my local Joann’s craft store lately, Paton’s Denim-y has caught my eye. 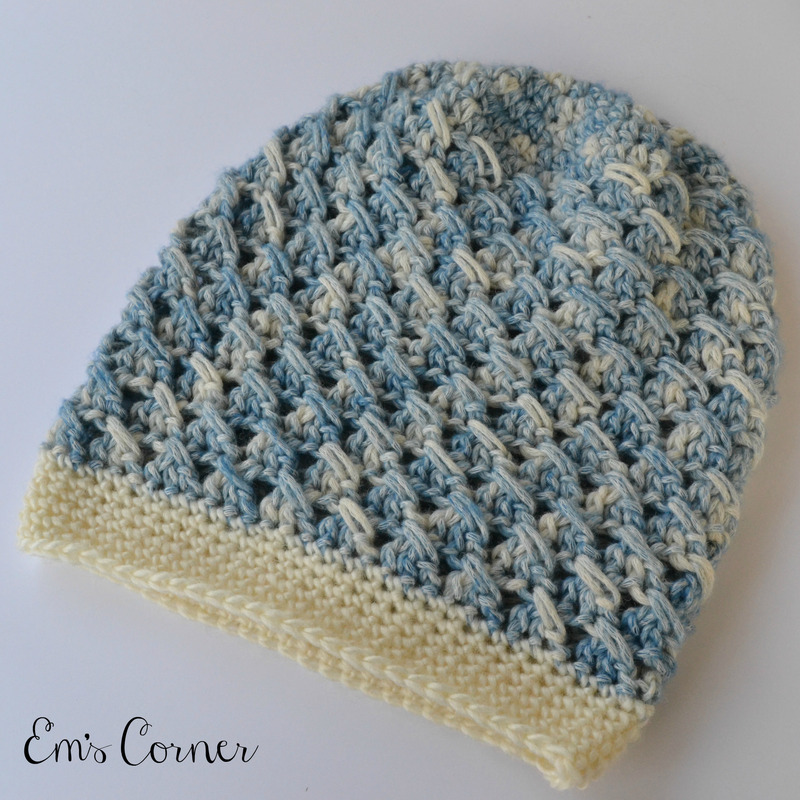 I don’t really use variegated yarns so I wasn’t sure if I would like it. But, on the other hand, I LOVE denim so I thought maybe I would like it. After a few months, I took my coupon to Joann’s and went for it. It has a bit of a different feel to it but I really loved it. 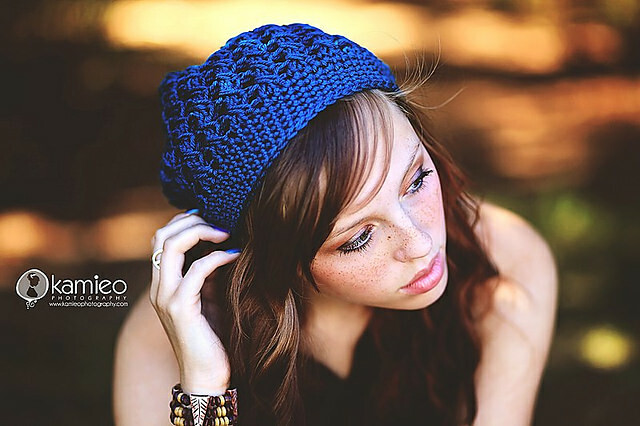 Here’s the scoop: Denim-y is a worsted weight (#4) yarn. It is 68% cotton, 16% wool, 16% acrylic. It comes in 3 oz skeins of 144 yards. It is a chainette style yarn with fibers inside the chains. Although I am usually not a fan of variegated yarns, I loved the soft color variations in this yarn. It also comes in a variety of colors while still retaining the “stone-washed” look. I bought one skein and I wanted to make a slouchy hat with it. 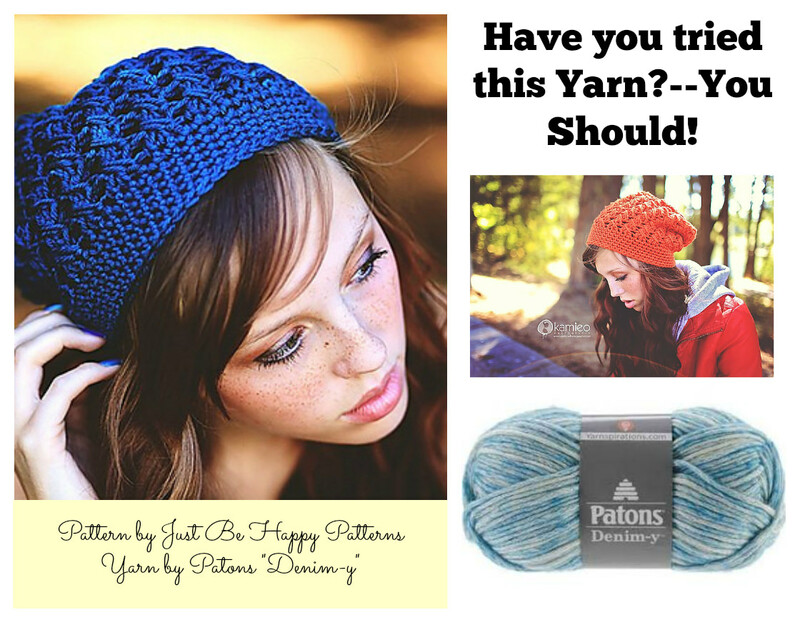 I went looking for the perfect pattern and I found it in Just Be Happy’s Ravelry store. 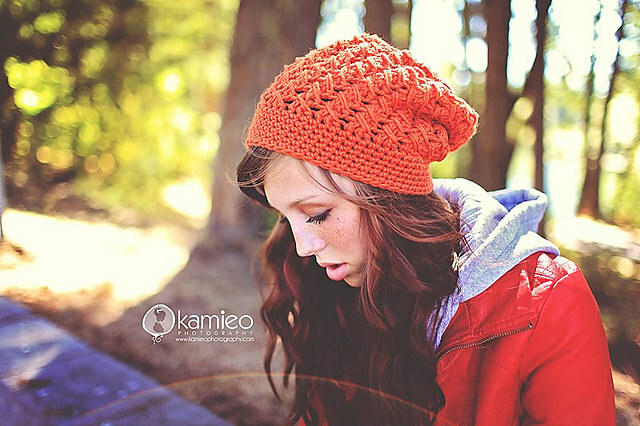 This is the gorgeous Fall Slouch. It is a beautifully designed loose fitting slouch that would look great in any color. It is the perfect addition to your wardrobe. 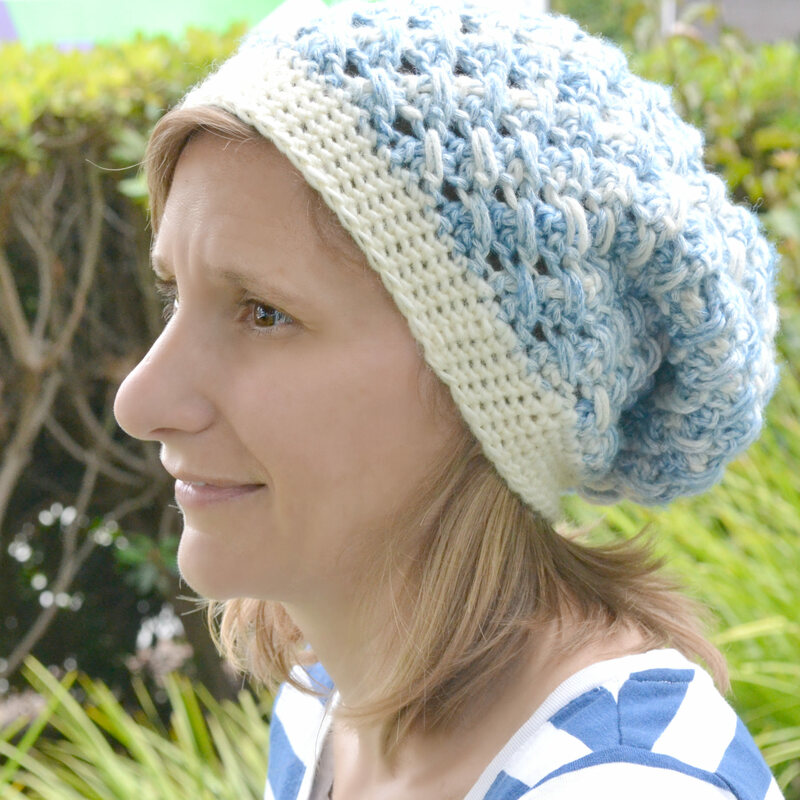 The pattern is well written and I will definitely be making more of these hats. I really hoped that my hat would turn out ok in this yarn but I am really happy with it! My sister was my model and really not in the mood for smiling, haha, but here is my hat. It think it has the perfect amount of slouch and when worked up, Denim-y really does look like stone-washed denim. I love my jeans and I’ll pretty much be wearing this hat all winter long. I ran out of yarn right after the textured section so I finished my brim in Bernat’s Sheep(ish). 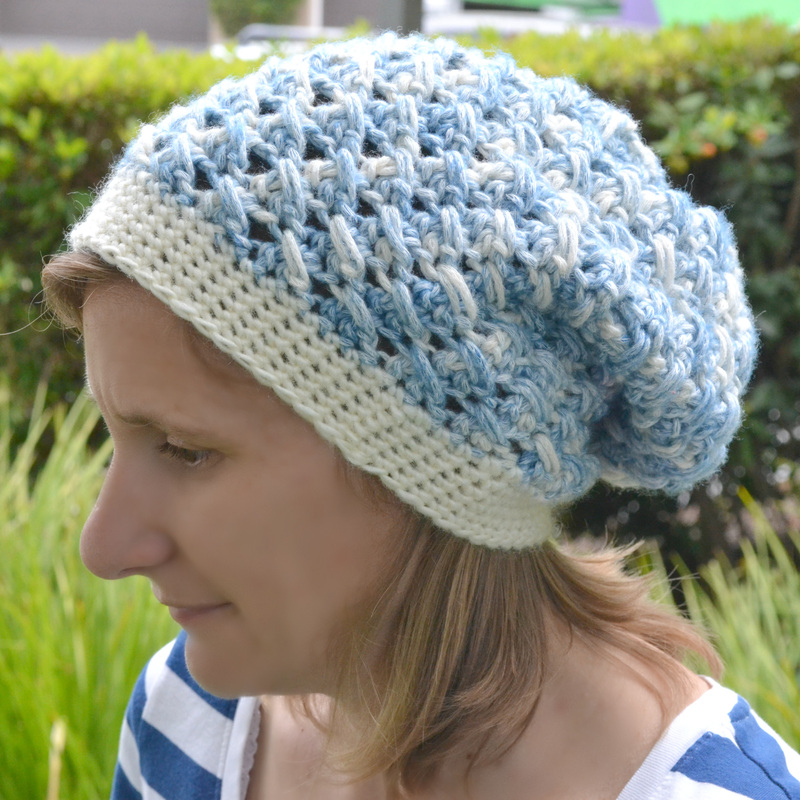 Make sure to check out this pattern in Alessandra’s shop and pick up a copy for yourself.